Documentary Feature | USA | 53:54 mins. the world’s energy companies converge to produce power. They’ve destroyed ecosystems, migrating birds, tortoise, and sacred places from ancient civilizations. The LA Times indicates, we are at a “Flashpoint” between competing value-systems. Bodies have been exhumed, and geoglyphs destroyed, in an area that is a long-term indigenous settlement. 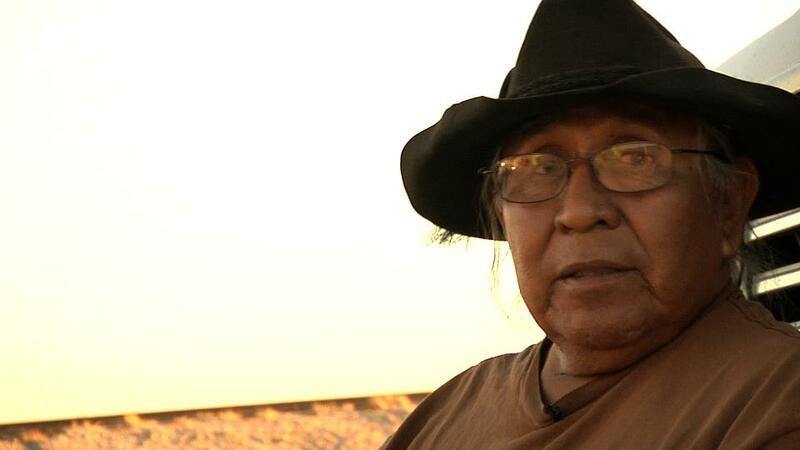 “Who Are My People?” depicts how the world’s energy firms like Solar Millennium, have met their match in a small group of Native American elders, in the hottest desert on the planet. “fast tracked” by US renewable energy policies. With Don Alfredo Figueroa (Yaqui, Chemehuevi), Reverend Ronald Van Fleet (Mojave Traditional/Hereditary Chief), Phil Smith (Chemehuevi). Preston Arrow-weed, (Quechan/Kumeyaay), Chemehuevi Chairman Charles Wood. Tracks, Keith Secola (Iron Mountain Ojibwe), Jesus (Chuey) Figueroa, (Chemehuevi, Yaqui, Chichimeca), Victor Van Fleet (Mojave) and Bird Singers, Larry Eddy (CRIT). Bill Powers, P.E., solar expert, Michael Brune, Executive Director of the Sierra Club, Lowell Bean Ph.D. Anthropologist, James Andre, Ph.D., Botanist, U.C. Riverside, V. John White, Executive Director, CEERT, Center for Energy Efficiency and Renewable Technologies, Governor Arnold Schwartzenegger. Narrated by filmmaker Robert Lundahl. 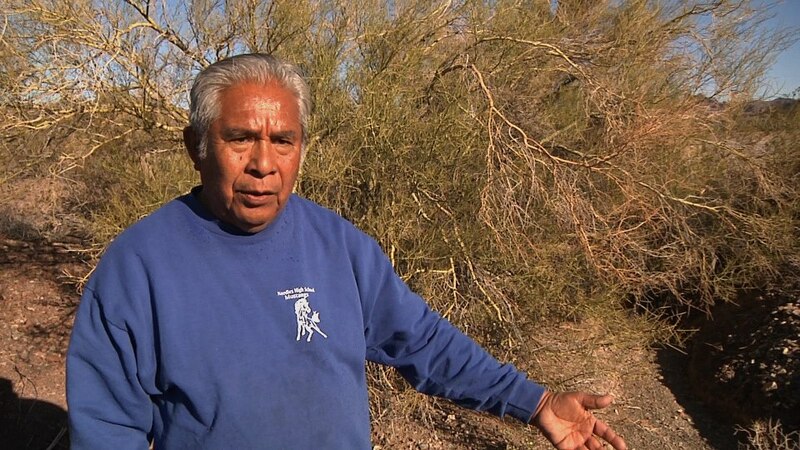 According to Alfredo Figueroa, Chemehuevi Cultural Monitor and elder historian, the sites relate to the creation story of Uto-Aztecan peoples, and their descendence from the stars. 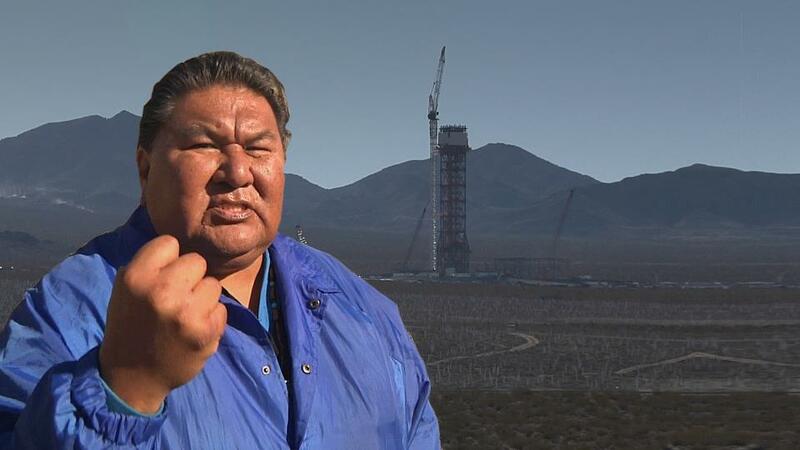 “Who Are My People?” is a 1 x 60 documentary film on the current and controversial topic of the build out of large solar renewable plants in the deserts of the West. Television coverage of the story has been minimal because of the remote locations involved. 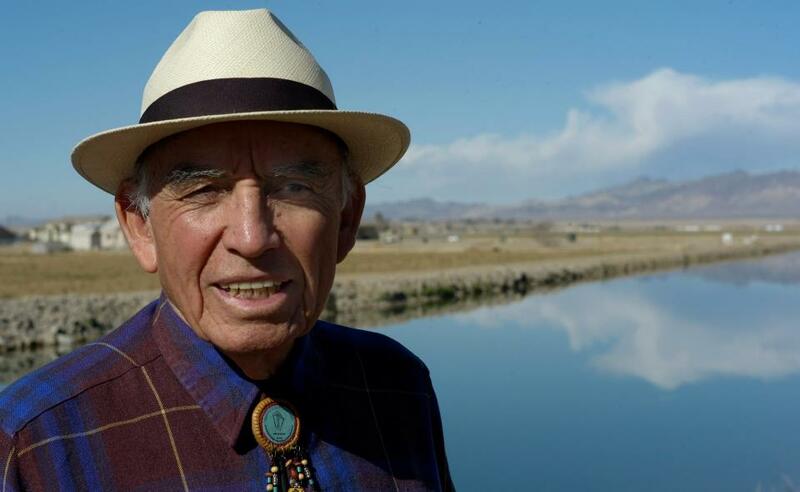 Filmmaker Robert Lundahl worked with an array of scientists and professionals, and with Native American Elders, including Reverend Ron Van Fleet (Mojave), Phil Smith (Chemehuevi), Alfredo Figueroa (Yaqui/Chemehuevi), and Preston Arrow-weed (Quechan/Kumeyaay), to create “Who Are My People?, the first film to focus on Native Americans responding to desert utility scale solar renewables. The film takes the shape of the film maker’s personal narrative about a journey to the desert. “Who Are My People?” goes behind the scenes to investigate the permitting and construction of two utility scale solar facilities in the Mojave desert, fast tracked by US renewable energy policies. “Who Are My People?” pays homage to a previous generation and attracts those with memories of why the environment is important. It addresses the issue of why people are important regardless of race or class and how communities are connected through environment and practices in the name of the environment, gold mining, logging, and now solar energy.